A new law adds vital new protections for domestic workers in Nevada, ensuring basic rights to overtime pay, live-in employment conditions, and adequate written employment agreements. Segerblom worked together with the Service Employees International Union (SEIU) to sponsor the “Domestic Workers’ Bill of Rights” (Senate Bill 232) during the 2017 legislative session. 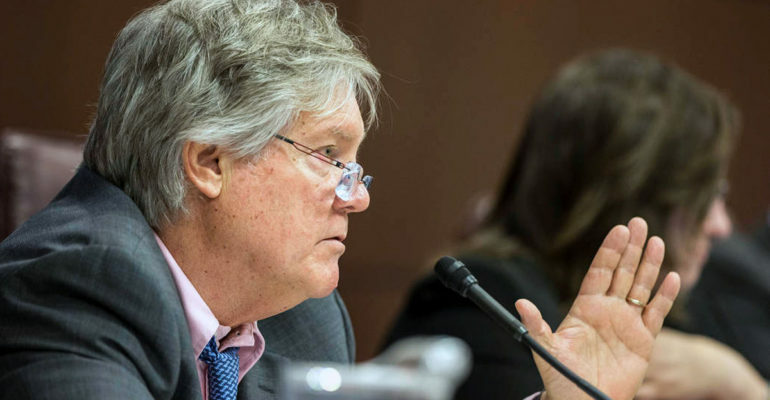 Working with SEIU, Segerblom helped ensure new protections that will help domestic and home-health workers receive basic employment rights following decades of neglect and unequal treatment under the law. Domestic workers have historically had few rights. The reasons for this discrepancy derives from the legacy of slavery in America. In order to persuade Southern states to sign on to New Deal-era workers’ rights legislation, lawmakers agreed to exclude domestic and farm workers. In the South, many of these workers were the descendants of former slaves, and they were explicitly excluded from worker protections afforded to all other American laborers. Today, it is a profession dominated by women, people of color, and immigrants. These domestic workers have faced rampant wage theft, poor working conditions, and excessive hours of work without breaks. Segerblom’s bill helps ensure that nannies, gardeners, caretakers, housekeepers, and other domestic workers have basic rights and guarantees. In turn, employers now have a clear understanding of workplace standards in Nevada. The law went into effect Jan. 1, 2018, and Nevada’s employers are now being advised that the “Domestic Worker’s Bill of Rights” law is now in effect.